Home > Blog > Adventure Awaits! It hasn't felt particularly summery here lately but we're still super excited to introduce our new summer/travel collection! 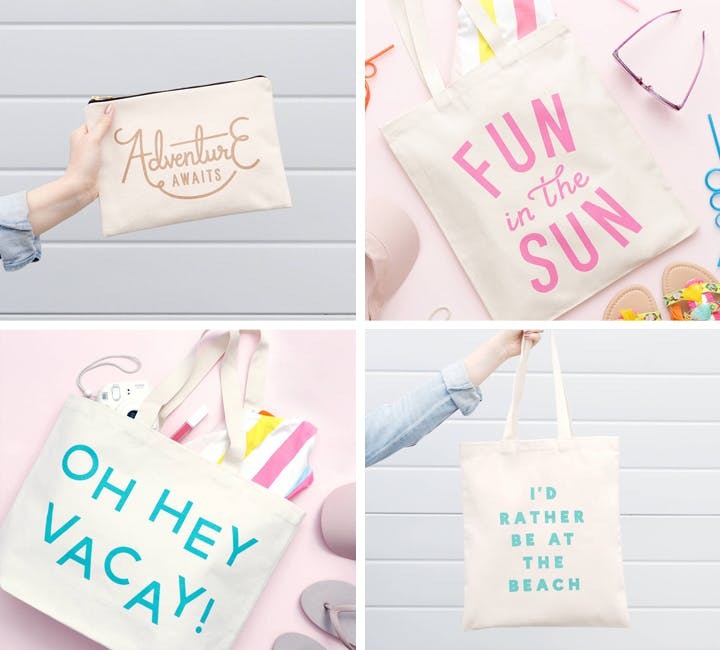 We've got 8 brand new items, including handy travel pouches, large beach bags and summery totes. Whether you're planning a big adventure, looking forward to weekends by the pool or simply wishing you were at the beach, we've got the perfect accessory for you! 'Adventure Awaits' Large canvas pouch - Get out there and find adventure with this super handy zip pouch at your side! 'Fun in the Sun' Natural cotton tote bag - The perfect bright and sunny bag to tote around in the summer months. Perfect for holidays, weekend adventures and sunny days at the beach. 'Oh Hey Vacay! ' Big Canvas Bag - Welcome your holidays in style with this super useful canvas bag! Perfect for vacations, Summer adventures and lazy days at the pool. 'I'd Rather be at the Beach' Natural cotton tote bag - The perfect bag to tote around in the warmer months, whether you are on holiday or just longing to be. 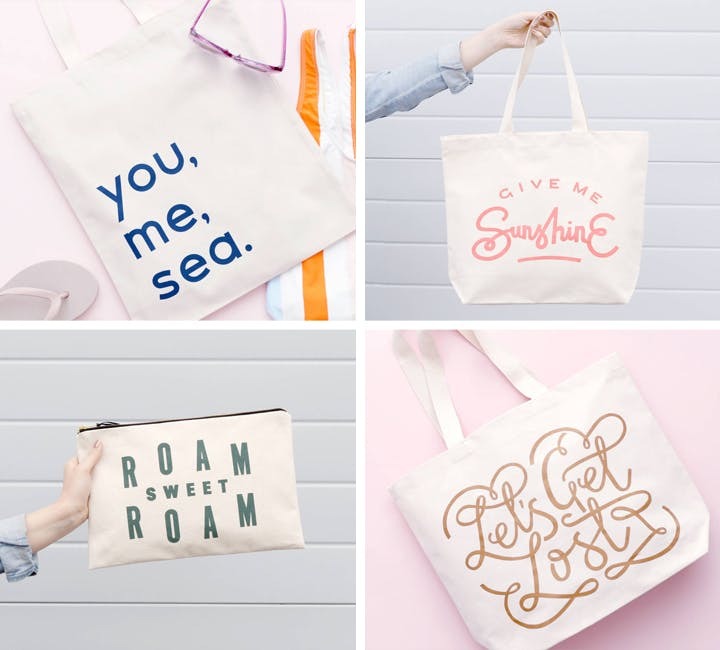 'You, Me, Sea' Natural Cotton Bag - This typographic tote is perfect for lazy days at the beach with your bff/love! 'Give Me Sunshine ' Big Canvas Bag - A lovely and super useful canvas bag, perfect for holidays and weekend adventures! 'Roam Sweet Roam' Extra Large Travel Pouch - Forget 'Home Sweet Home', get out there and Roam Sweet Roam! Grab this extra large and extra handy travel pouch and keep all your essentials safe and sound. 'Let's Get Lost ' Big Canvas Bag - Feeling the need to explore? Take a trip, have an adventure or simply get lost for a while with this lovely and super useful canvas tote! Each of the new totes and pouches have been lovingly made and printed in the UK, hooray! We hope you love them! Take a peek at all of the new releases here.